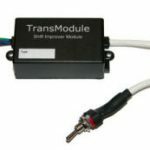 The single stage modules have one switch which allows the module to be turned on or off, providing either a standard or firm shift pattern. The shift kit when activated will provide firm shifts during normal driving, however due to the design of the vehicle ECU, shifts may become softer with increasing RPM. This is due to torque reduction programmed into the ECU, which increases the life of the transmission. 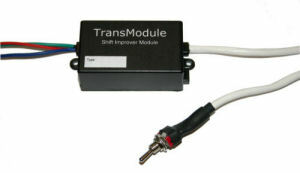 This shift kit will give you the firmest possible shifts without modifying the transmission or PCM. easy install! works great! better then a normal shift kit as i can turn it off, and made more of a difference then i thought it would! and for 70 bucks why wouldnt you do it? This shiftKit worked AWESOME! .. Postage was really quick, and replied to my questions very fast.. Install of the kit was very simple and worked better than expcted!! Highly recommend! Installation took me 20mins and the results speak for themselves. My trans was very sloppy but after the module it really made the car a joy to drive. The switch also added to the appeal being able to go back to smooth shifts whenever needed.